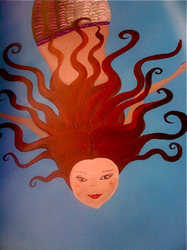 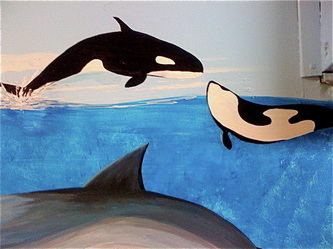 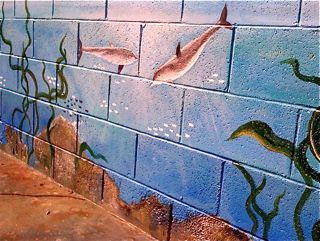 Murals can even be done around the pool. 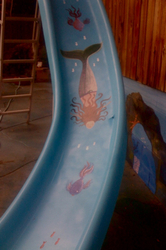 This Sea scape theme includes mermaids, sea plants, dolphins and other sea life. 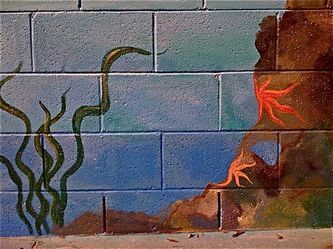 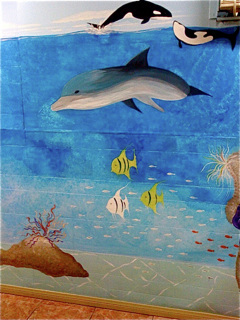 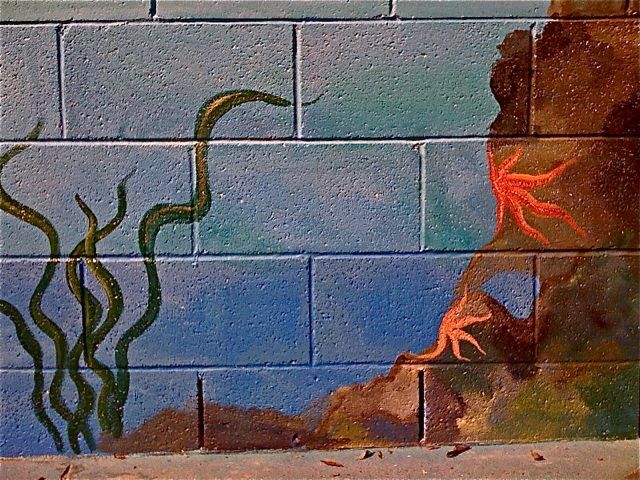 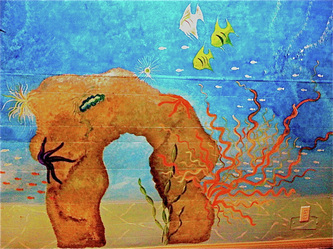 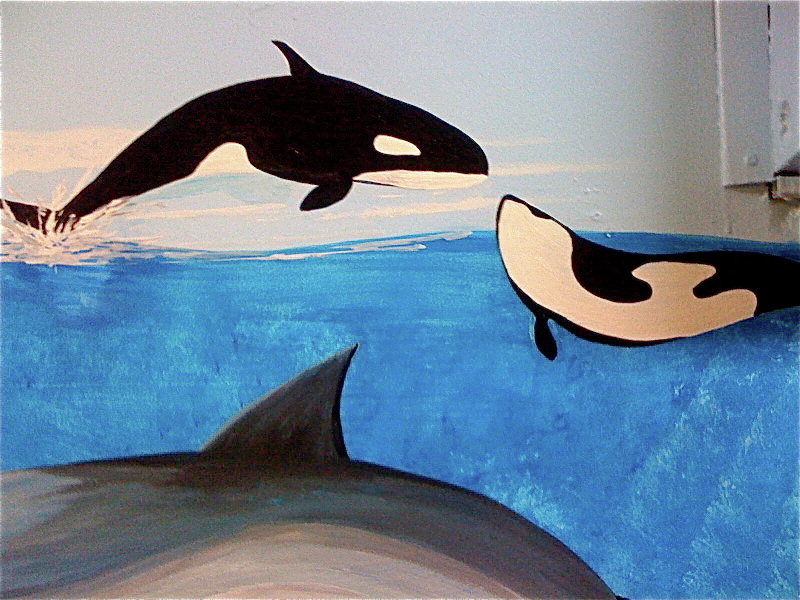 this coral reef Mural was on a 30 ft. long wall done for a private school in Silverlake, Los Angeles. it includes : Dolphins , sand, fish, plants, etc.